Sometimes, nature builds our wonders for us — Victoria Falls, the Grand Canyon, the great salt flats of Bolivia. But sometimes, great civilizations erect monuments that become timeless in their own right. 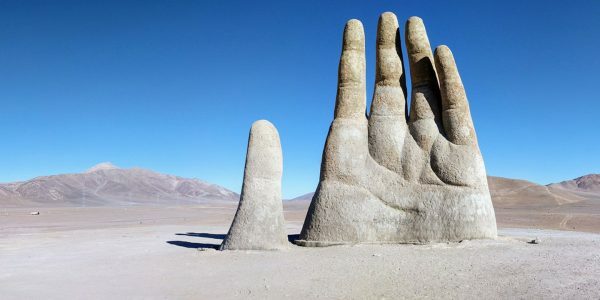 Mother nature can carve out a river valley over millions of years, but a sculptor with a chisel can put her to shame in a tiny fraction of the time. 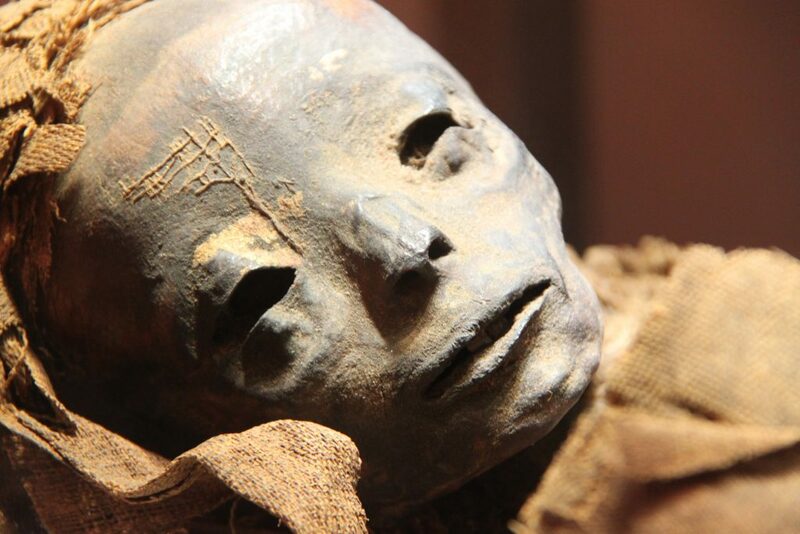 Here are 24 historical sites that are too good to miss. 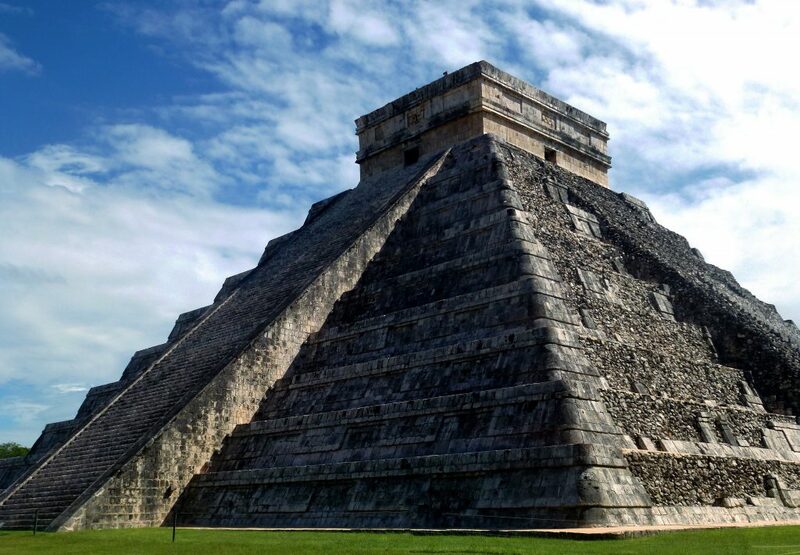 The ancient Mayans left their biggest mark on civilization at the site of Chichen Itza in Mexico. The temple was once used as a gruesome megalith of human sacrifice. Heads would roll and bounce down the stone steps after being relieved of their bodies. The horrifying practice is thankfully a thing of the past, and these days Chichen Itza is more popular for its resounding acoustics. If you’re wondering what all the tourists are clapping about, listen carefully to the sound. It’s best to go in the early morning or late afternoon to avoid immense crowds waiting to enter the complex. Between May and June is the best time to avoid getting soaked in a monsoon or losing your own head (figuratively) in the crowds. Built atop Corcovado Mountain, this giant art deco symbol of peace stands sentry over Rio with his arms spread wide to the world. As one of the seven New Wonders of the World, it’s one of the most popular sites in Brazil. Designed by Polish-French sculptor Paul Landowski, the Redeemer has stood as a symbol of Christianity since 1931 and attracts thousands of visitors to its site at the highest point in Rio daily. To reach the statue, you can hop on a train up the mountain or hike 50 minutes through the rainforest in the Tijuca Forest. 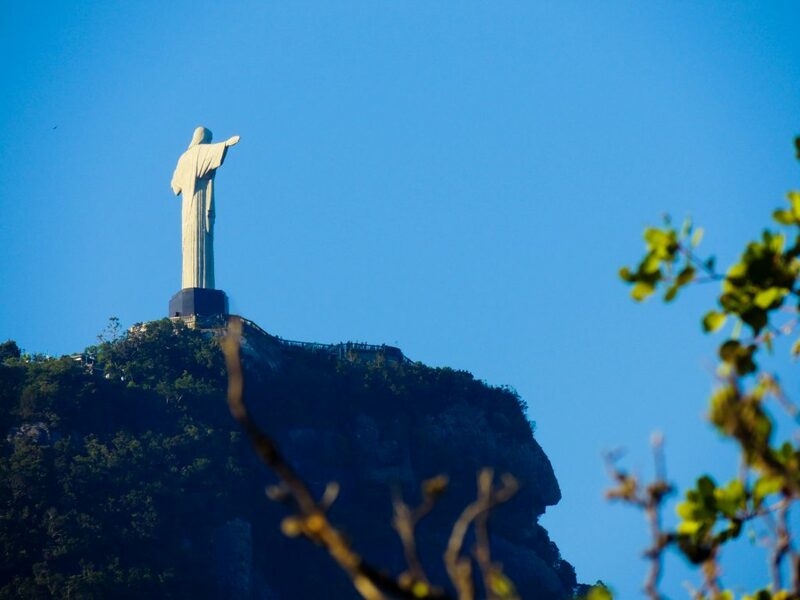 Although the statue is 38 metres high, the Redeemer is only the third tallest emblem of Christ in existence. The largest is the Christ is King statue in West Poland. Visit for carnival season if you want to enjoy the best vibes in Rio. If crowds aren’t your cup of tea avoid, December to March, and July. Heading up the mountain before 8 am will give you fewer crowds and clearer visibility. For a jaw-dropping bird’s eye view of the wonder, book a helicopter trip over Rio. The Taj Mahal, a UNESCO world heritage site, is possibly the single most impressive historical structure in the known world. Built as an epic symbol of love by Mughal emperor Shah Jahan for his late wife, the marble mausoleum stands regally. Each column, dome, and facade has a perfect symmetry that’s appreciated by over 3 million people every year. There are a few ways to appreciate the grand Taj. 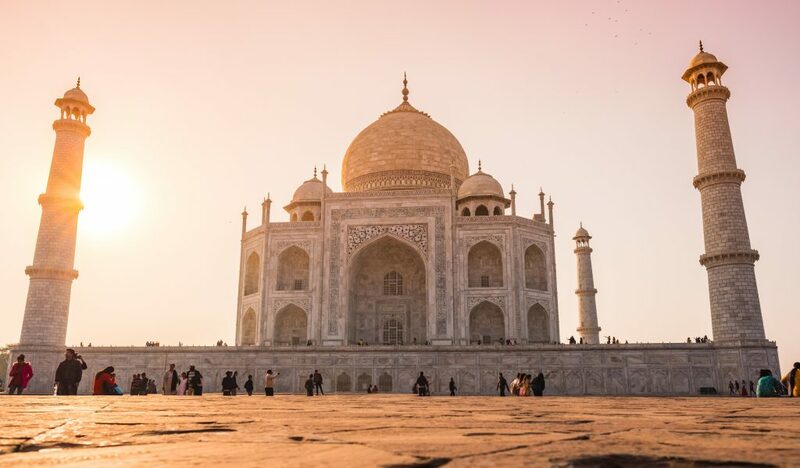 As well as visiting the site itself and battling with the hoards of tourists trying to get a shot of themselves sitting on the bench that Princess Diana once graced, you can also take a serene cruise down the Ganges at sunset to experience the sublime white marble glistening against the setting sun. 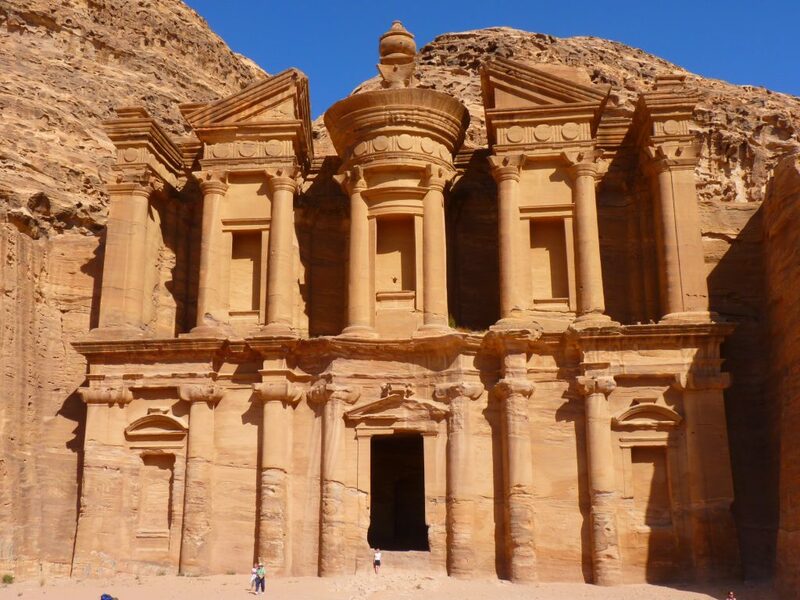 Petra means rock, but if there was ever a place that defied that description it would be Petra. The incredible temple carved directly into the face of the mountain is a showcase of some of the world’s most exquisite architecture. Petra was awarded the title of UNESCO World Heritage Site in 1985, and the local people that live in the caves around the complex couldn’t agree more that their neighbours are incredible. Spring and autumn are the best times to go. For an experience off the beaten path, book a seven-hour camel trek through the desert to reach Petra in style, or intense pain, we’re not sure. Note that Petra closes to the public around sunset. Stonehenge is a mystery if ever there was one. The giant circle of monoliths has intrigued anthropologists and archaeologists for centuries, as no one knows what it is or how it got there. 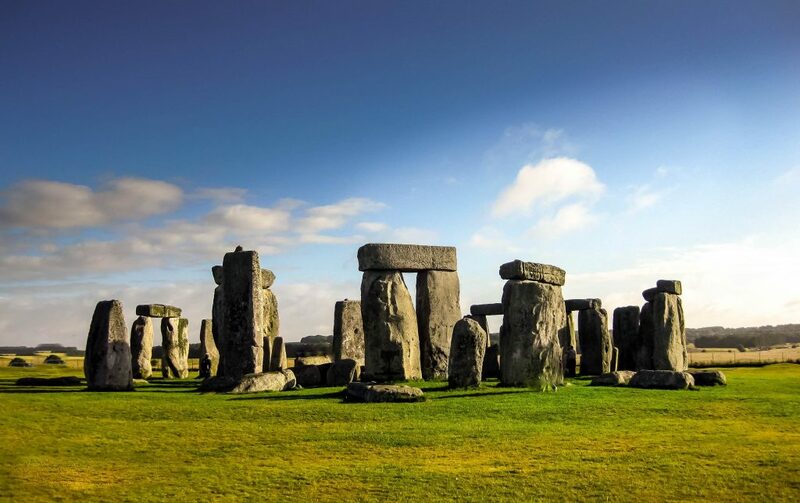 Nevertheless, it attracts thousands of visitors a year and holds a celebration at the summer solstice. The Neolithic monument is surrounded by people gathering to greet the rising sun on the longest day of the year. Late spring to early autumn. It’s England so you’re never guaranteed good weather, but the stones can be enjoyed in the rain, shine, or gale force winds. The secret is that the heads aren’t just heads; it was recently discovered that the numerous stone faces aren’t disembodied. In fact, the underground volcanic rock runs deep, revealing that the heads are be attached to entire bodies — albeit buried ones. These strange deities are made from volcanic rock, so they will eventually erode in the face of the elements and become faceless mysteries for future generations. 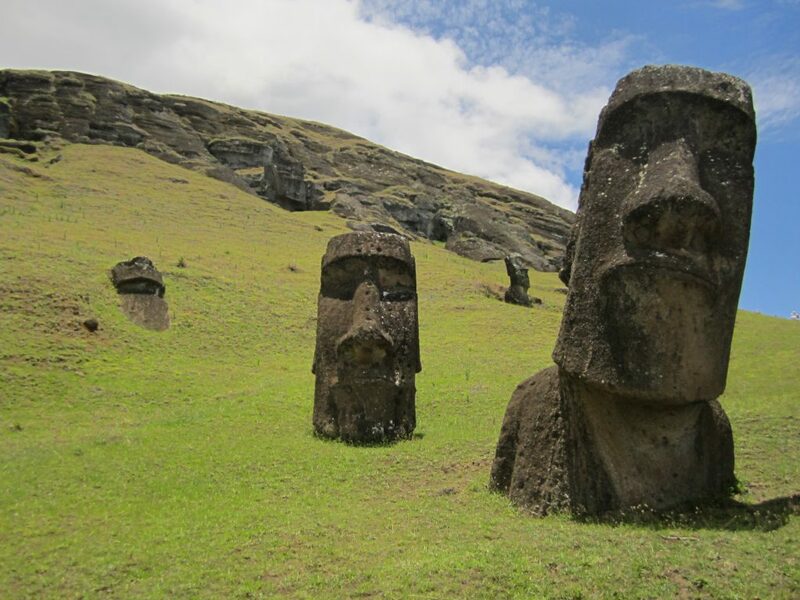 As an isolated Island in the middle of the Pacific Ocean, Easter Island is a little tricky to get to. On the bright side, that means it’s by no means inundated with crowds. You’ll likely have the field of heads all to yourself. July and August bring the most agreeable weather to the island. 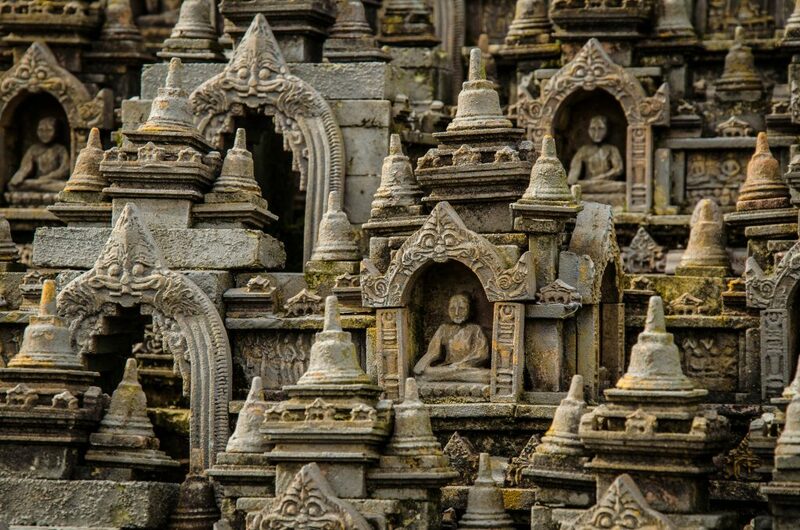 As well as being the largest complex of Buddhist structures in the world, Borobudur is also unique. 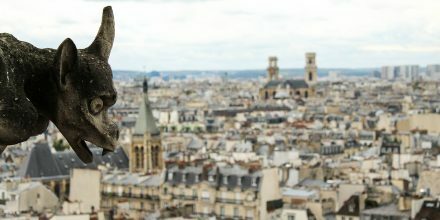 The monumental complex cuts a distinctive silhouette against the skyline, with every structure and statue making a statement. Over 500 Buddha statues deck the grounds, and numerous domes and platforms create an endless vista of holy ground. The place is truly beautiful and seen from above, the symmetry is remarkable. Book a sunrise tour of Borodur to beat the crowds and enter before 6 a.m. and see the sunrise over the temple grounds. November to March is quieter although sees some rain. Dating back as far as the 5th century B.C., the Acropolis was the ancient citadel used by the Greeks to worship their pantheon of gods. Once the preferred place to come to make your prayers to Zeus and the old deities, the Parthenon is today one of the world’s oldest surviving archaeological sites. It stands in impressive condition, with all but one of its original pillars intact and minus a roof. Open-air conservation techniques are used to preserve the site for years to come so we may admire this fascinating part of Greek history. 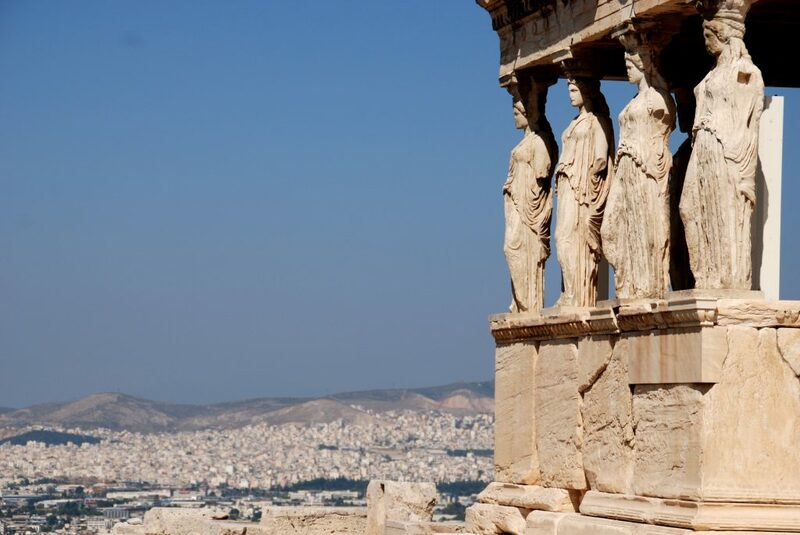 The Acropolis is the highest point in Athens and temperatures soar in summer. Book in the cooler months for a more pleasant experience. As one of the most popular attractions in the world, the Parthenon is always busy, but you can escape the masses by booking a private sunset tour of the Acropolis. 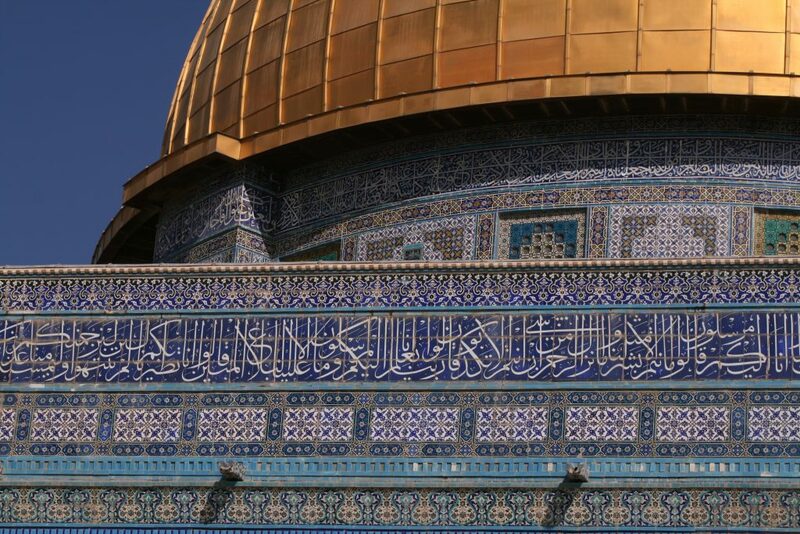 If the glistening gold dome of Temple Mount and its ornate tiled surface isn’t alluring enough, legend has it that a box of magical powers is hidden beneath its angled walls. 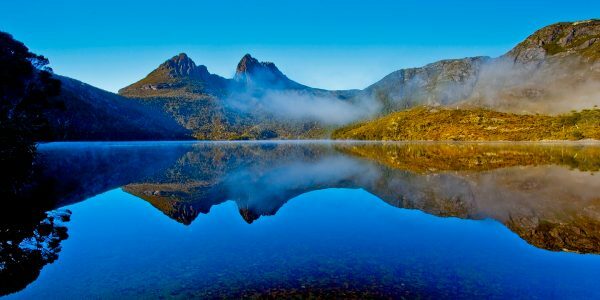 Many religious controversies concern the Mount, and it is an apt place to come and ponder the origins of man and his connection to the world around him. Visits are limited to between 3 hours in the morning and 1 in the afternoon, and you’ll have to turn up early to be the first to enter. This is a sacred site for Muslims, Christians, and Jews alike, so respect is urged at all times. The Great Pyramids in Giza have been baffling mankind for centuries. How did they get there? Who built them? Did a hurricane just blaze through and whip them up one day? Each of the massive stones that make up the remarkable structure weighs over 3 tonnes, and no theory has yet to fully explain how they were set in place. 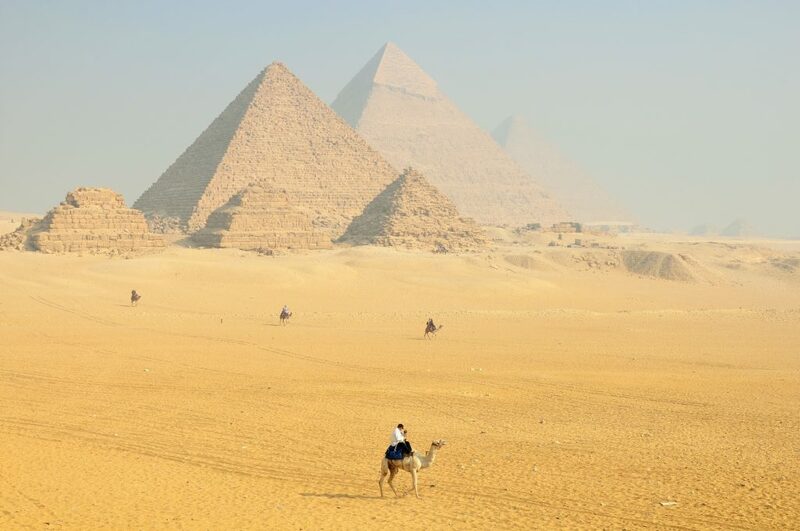 Khufu’s Pyramid, or the Great Pyramid, is the largest and oldest of all, towering 481 feet above the sand. The sheer size of these tombs boggles the mind, but standing next to one in real life will truly make you feel small. Temperatures can top 100 Fahrenheit in the summer months, from June to September. Standing under direct sunlight is much more comfortable between October and April, and even better in the late afternoon when the sun dips low and all the tourists have left for the day. 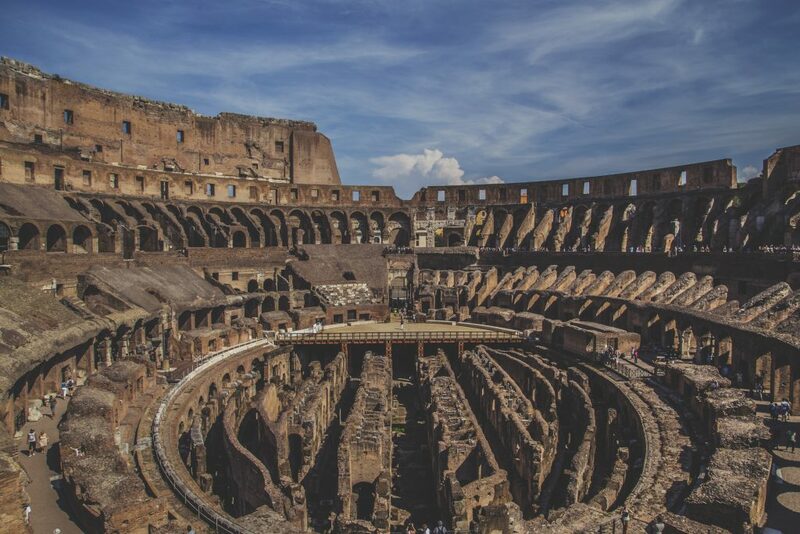 Rome wasn’t built in a day, and the Colosseum certainly wasn’t either. It took 10 years to bring it to completion. The expertly-crafted arena was once used as a gladiatorial battleground. Fearless warriors were regularly set against great beasts such as lions and tigers and bears for the entertainment of the mob. The canopies above the seats, the seats themselves, and even the floor — all are long gone. But the vast structure is still in great shape despite the centuries of weathering, theft, and heavy footfall. 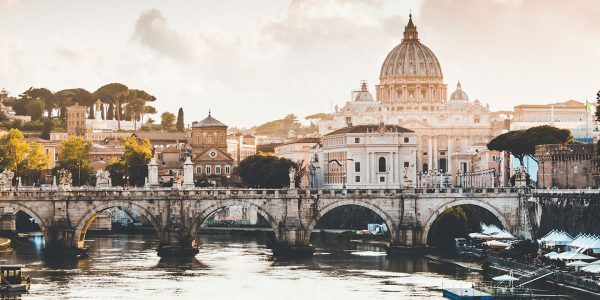 As the most popular site in the whole of Italy, the Colosseum will have you rubbing shoulders with every other tourist in Rome, so it’s best to pick a time out of season when the city isn’t overrun with half the planet. 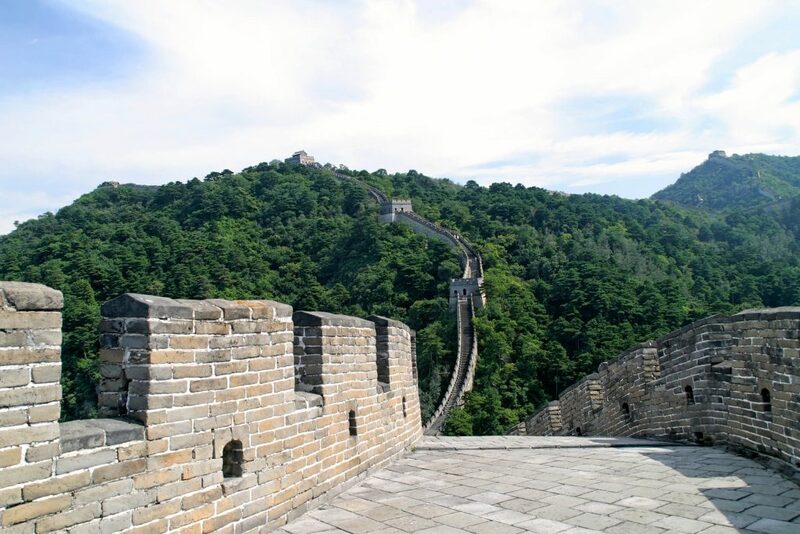 It is said that the Great Wall of China is the only man-made structure that can be seen from space. Unfortunately, this whimsical speculation is just that. 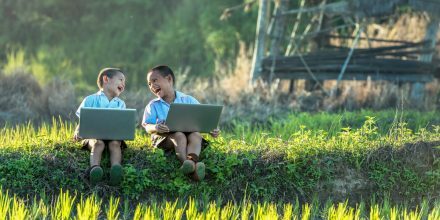 Though certain sections have been caught from space through radar imagery, it’s impossible to see it with the human eye. So inside the earth’s atmosphere is still the best way to view this monumental structure. The main entrance in Beijing is one of the busiest spots in the whole of China, but a lot of people don’t venture past the first section. Since the wall covers half the country, it’s possible to head to a more secluded part of the wall for a quieter experience. 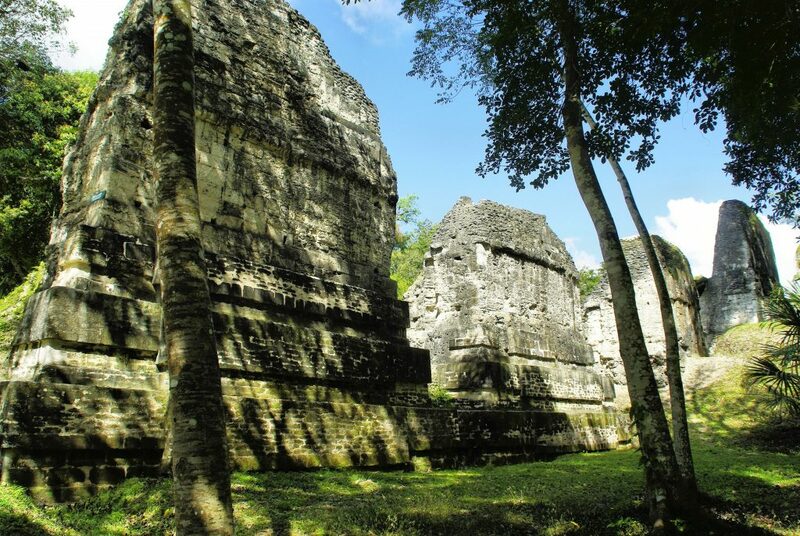 Ancient Mayan cities are few and far between, which makes Tikal in Guatemala an anthropological wonderland. It was once the pearl of a thriving civilization but the Mayan citadel full of palaces and temples is now a lost world among the rainforests. Where did everyone go and why didn’t they ever return? See if you can divine the answers from the stones and walls of this incredible ruin. The first tour of the morning is at 6 a.m. Beat the crowds and watch the sunrise over the ruins. Avoid the weekends as that’s when Tikal is at its most crowded. The dry season is a good time to go (between November and April) if you don’t want to be soaked to the bone. You’ve probably once heard your mother say she would put you in a box and ship you to Timbuktu when you weren’t particularly behaving. Thankfully, a trip to Timbuktu would have been quite the adventure ending in the marvellous sighting of the giant mosque made from the ground itself. The mosque is a true feat of architecture with the building resembling a giant sandcastle. Imagine doing a double take and seeing kids building that at the local beach. 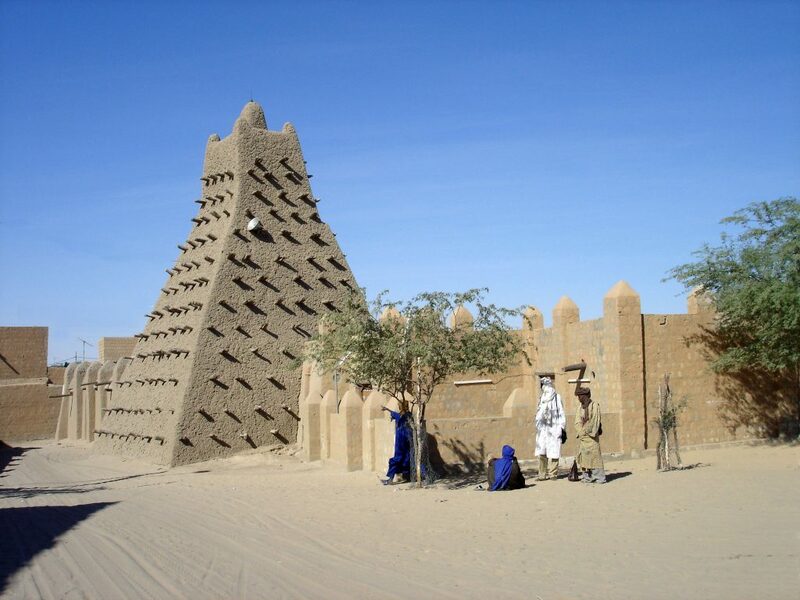 Unfortunately, the terrorist group Ansar Dine seized Timbuktu in 2012 and destroyed some of its shrines. Although the security situation has improved considerably since then, you should still check with your government before planning a trip to Timbuktu, since terrorism is still a concern in Mali. April to May is the shoulder season when it’s not too hot and the crowds are low. The complex is made up of over 100 historical temples and stone buildings. Angkor Wat is considered the largest historical monument on the planet. 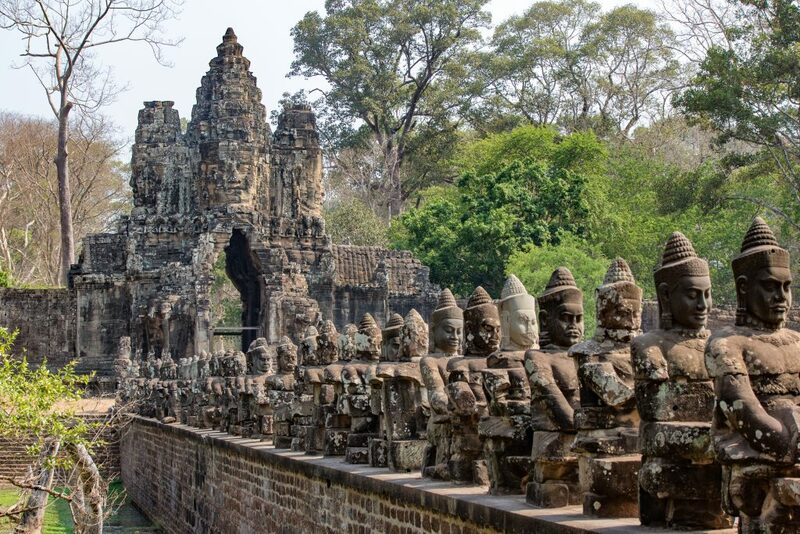 It was once dedicated to the Hindu deity Vishnu, the god of preservation, before becoming a Buddhist site of worship. Nature has taken over the mass complex and some buildings have been bound by the enormous roots of trees like a real-life enchanted forest. Angkor Wat first became mainstream famous when it was featured as a shooting location for the Angelina Jolie film Tomb Raider. The complex is open from 5 a.m. The air is cooler, the crowds are sparser, and the sunrise presents a once in a lifetime opportunity to catch the temple in all of its glory. The castle on the island is the pièce de résistance of Normandy. 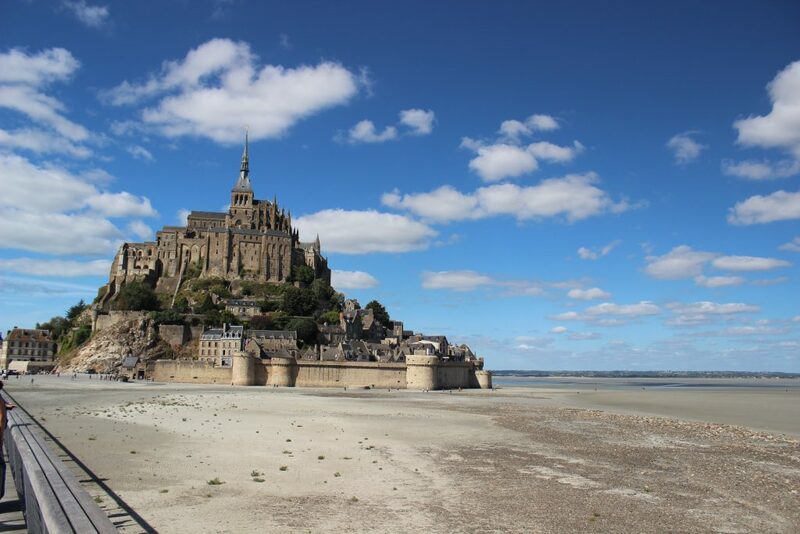 Mont-Saint-Michel is only accessible at low tide when a path to the island emerges out of the water. 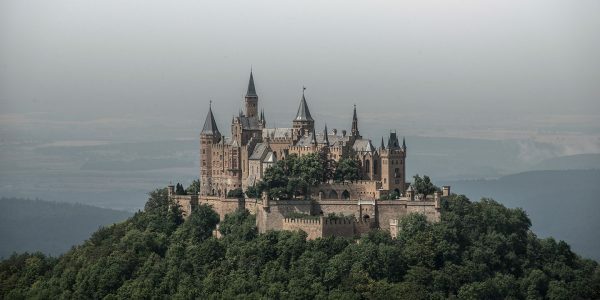 The old gothic style castle was erected in 1523 and has been preserved beautifully, attracting crowds on a daily basis. 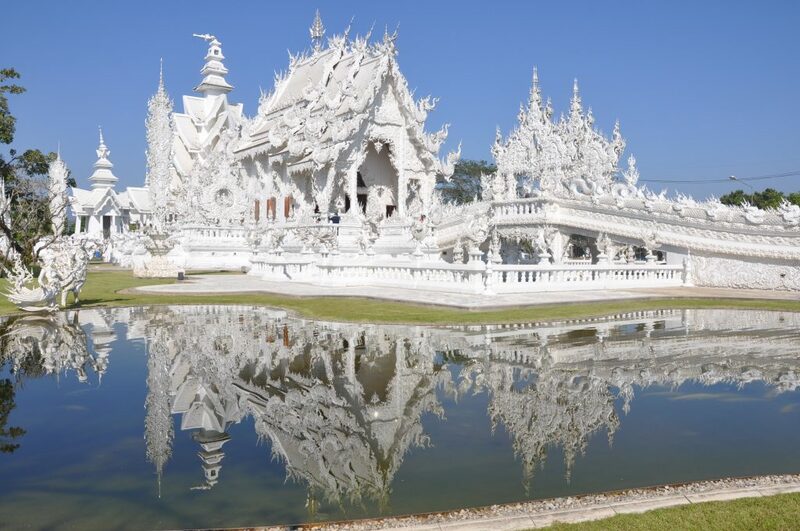 In the morning, the streets are relatively quiet until around 9 a.m.
‘The White Temple,’ in English, is a surreal edifice in the northern part of Thailand. Elaborate sculptures of everything from tusks to skulls, to disembodied hands make up the religious complex depicting Buddhist teachings through the modern ages. As it was built in the more recent past of 1997, it also includes some unexpected modern day figures such as Hello Kitty and Angry Birds. Visit in winter between December and February for the most pleasant and least wet climate. The palace of the King of Kings in Fars Province, Persepolis was formerly the richest city in the world and the seat of the Persian Empire. Burned to ruins by Alexander the Great in 330 BC, Persepolis now stands in ruins. Evidence of Alexander’s wrath are still visible on the pillars and inside the old palace. The preservation is only possible because the ancient city was once entirely covered in sand. 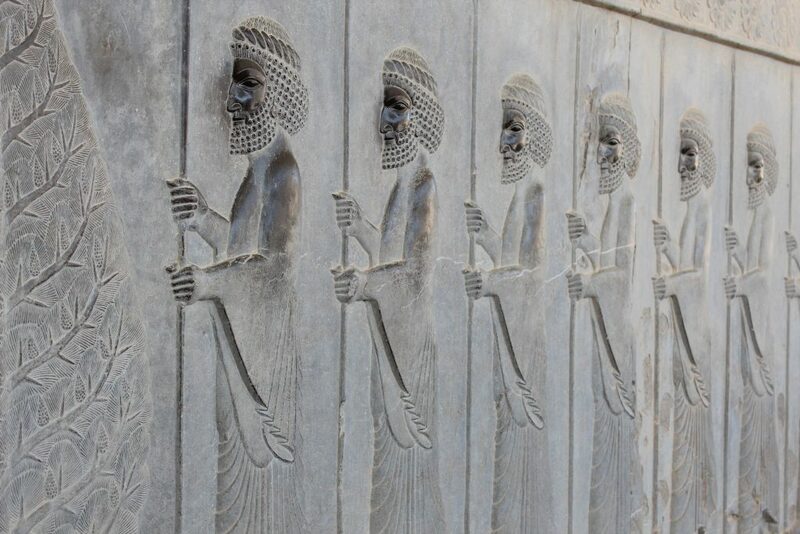 There are few places in the world that match the grand pedigree of Persepolis. To avoid intense heat, visit early in the morning or late in the afternoon. Stay covered and bring plenty of water. Adorable llamas will meet you on your journey along the rocky path, through the crumbling old remains of villages and historical temples. It can get pretty hot and the altitude might take its toll, as the air up here is thin. But once you reach the precipice and Machu Picchu peaks its distinctive head out of the clouds you’ll remember what the effort was for. Avoid June to August as it’s the busy season. 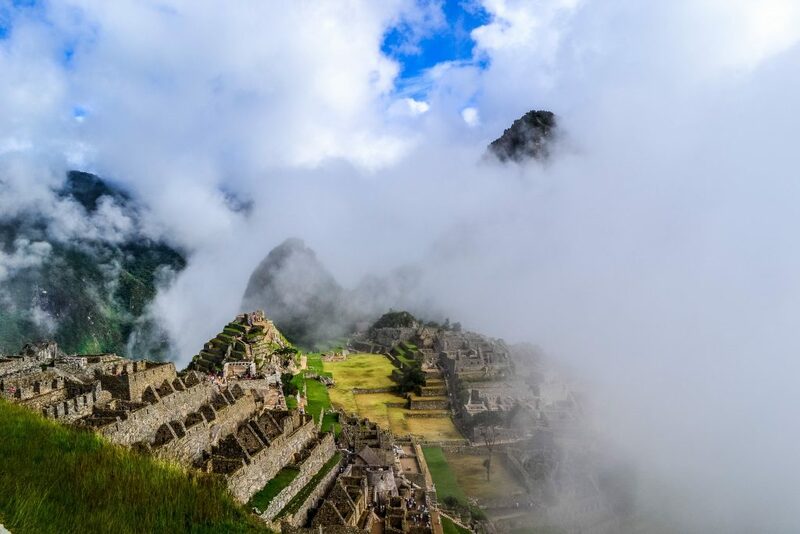 Visitation to Macchu Picchu is limited so be sure to book your Inca Trail Permit. 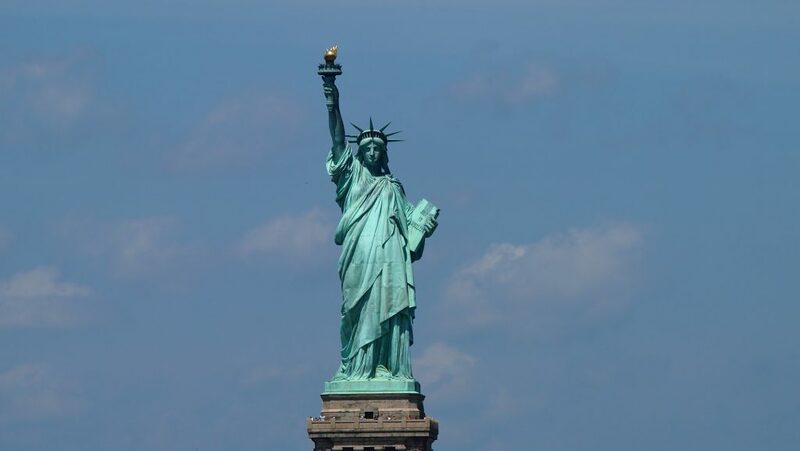 Out on Liberty Island stands the great lady herself. Crafted elegantly of copper, she’s now as well-known for her aged green patina as she is for her ice cream-resembling fire torch. The statue was a gift of peace from France to the U.S., sent in 1886 as a symbol of friendship between the nations. In her other arm, she bears the tabula ansata, inscribed with the date of the declaration of independence. Early morning is the best time to visit, as most visitors hop on the ferry over between 10 and 11 a.m. 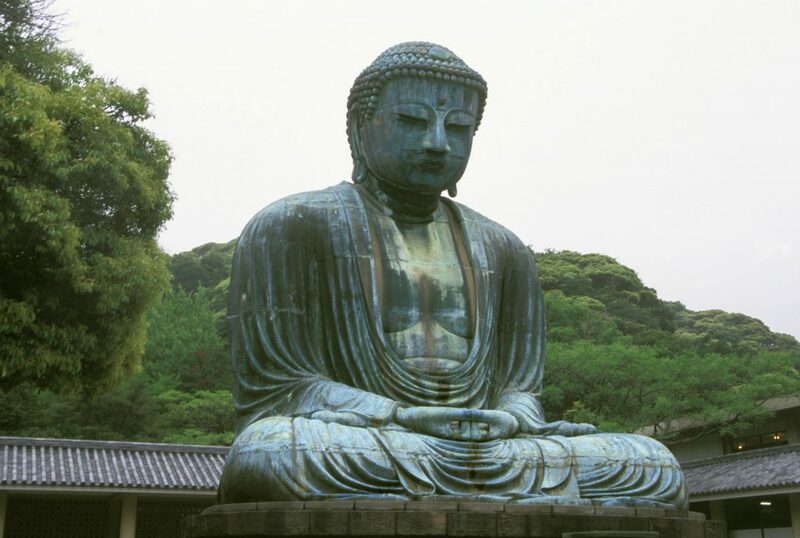 The giant bronze statue is the main attraction in the beautiful rural region of Kamakura. It was built some time around 1252 AD as a monument to the Buddha. It’s a rare bronze sculpture that is completely hollow so visitors can explore the inside and find out what it’s like to be inside the heart of Buddha! Any time is the best time to see the great Buddha, but the prettiest seasons are spring and Autumn for the cherry blossoms and foliage. 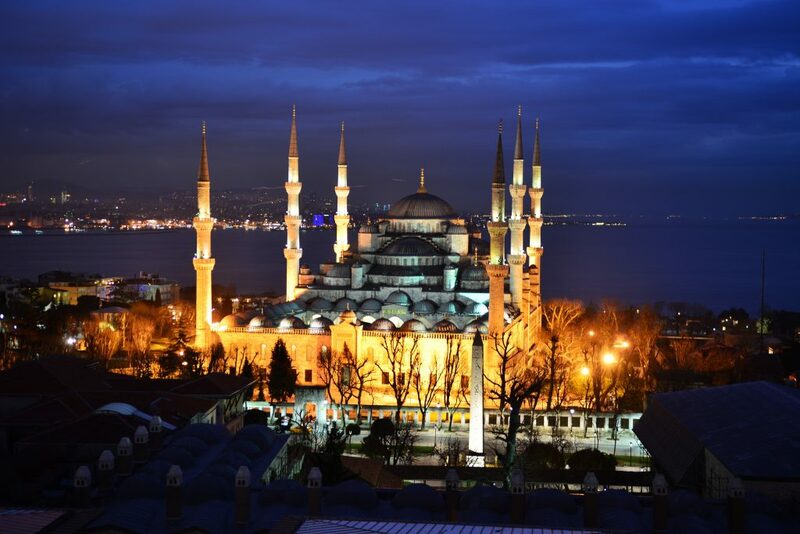 The Sultan Ahmed Mosque or Blue Mosque was constructed in the 1600s and is an historic landmark of Islam, considered the most important mosque in Istanbul. Nicknamed for its spectacular blue-hued dome and the hand-painted tiles on the inside, the Blue Mosque has six impressive minarets — whereas most mosques only have two or four. The soft blue hue is present both day and night due to the intricate detail of the hand-painted structure. 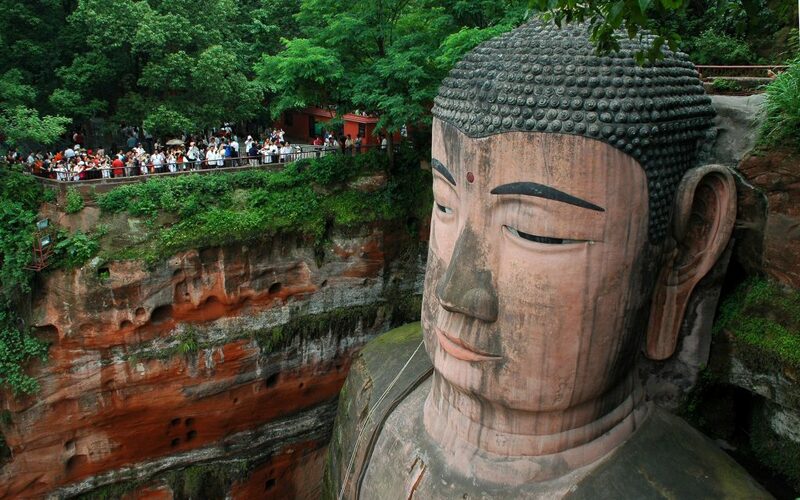 The Leshan Giant Buddha is a monument of epic proportions. Carved laboriously into a cliff face over 71 metres high, the formidable figure is over 1,200 years old and must have taken astounding fearlessness to build. Its origin story tells of a monk who wished to calm the raging river below. Miraculously it worked, as the rocks that fell from the cliff evened out the river surface so ships could pass unharmed. In 1996, it was named a UNESCO World Heritage site and attracts visitors from all over the world who scale down the stone steps of the cliff to worship at his feet. In spring and autumn, the temperature around the great Buddha is generally mild. There’s usually a line to get down the steps but it’s least crowded in the early morning and late afternoon. 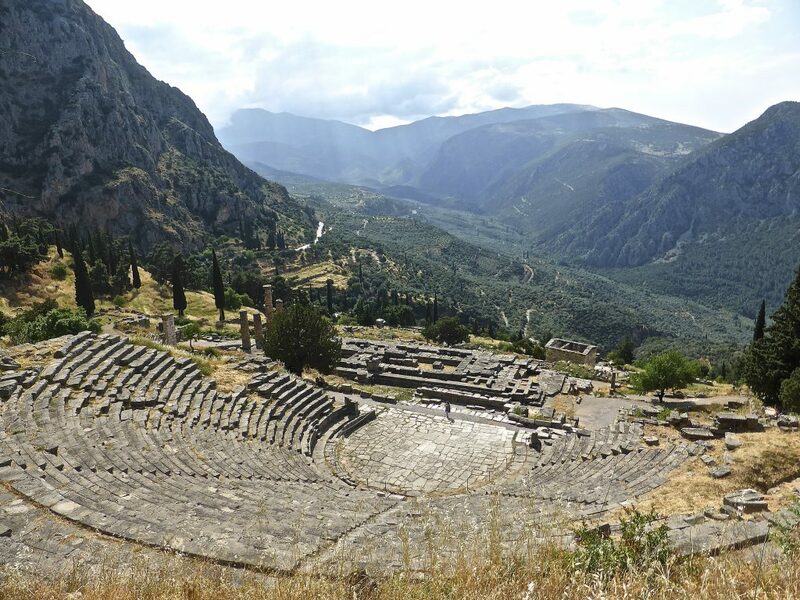 At times overshadowed by the fame of the Parthenon, the UNESCO world heritage site of Delphi deserves equal reverence. The ancient temple complex was tested by the sands of time, and is now a stunning garden of ancient ruins. The sacred grounds were once believed by the Greeks to be the centre of the universe, chosen as holy ground by the great Zeus himself, where divine messages from the Gods were communicated via priestesses inhaling toxic, volcanic fumes. Spring offers the nicest climate with warming temperatures and no snow. Pack a hat and sunscreen as there’s limited shade on the mountain.